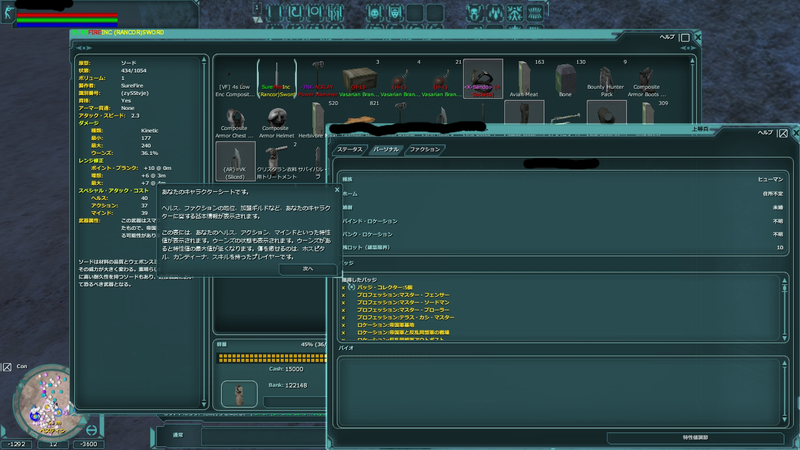 there are 3 tools in this repo 2 converters and one generator. 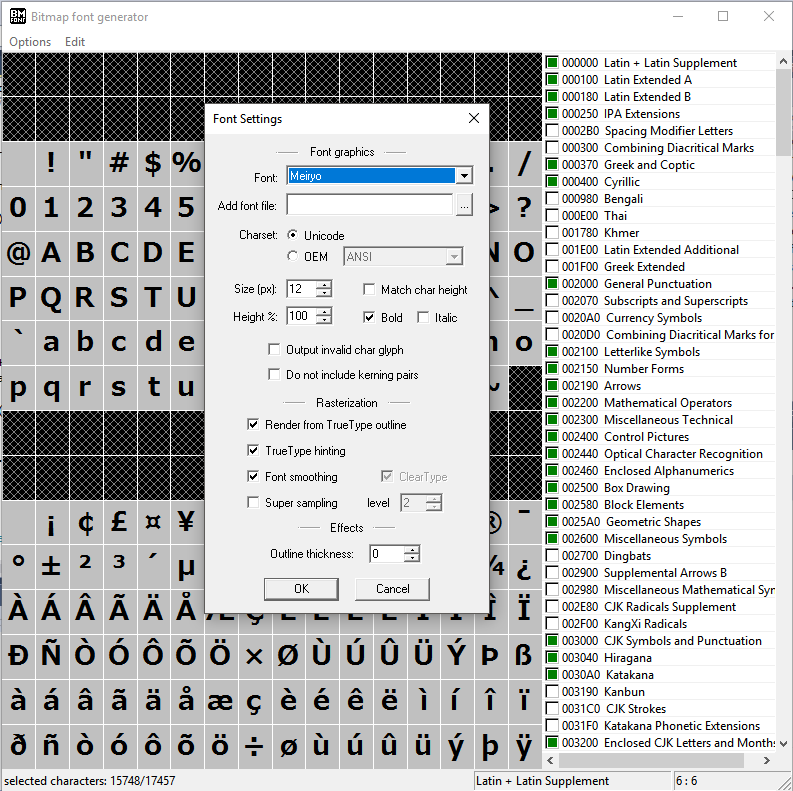 the converters convert bmfont .fnt define files to swg inc format one is a batch converter. 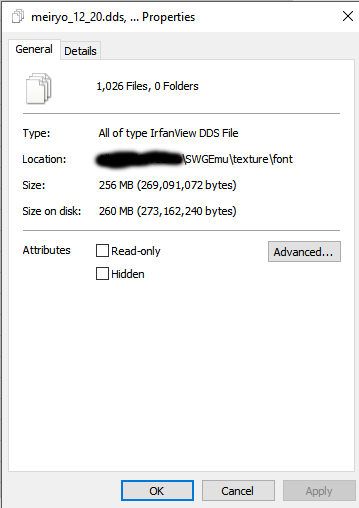 now swg requires more than one size of fonts to work the more sizes the better it will look. 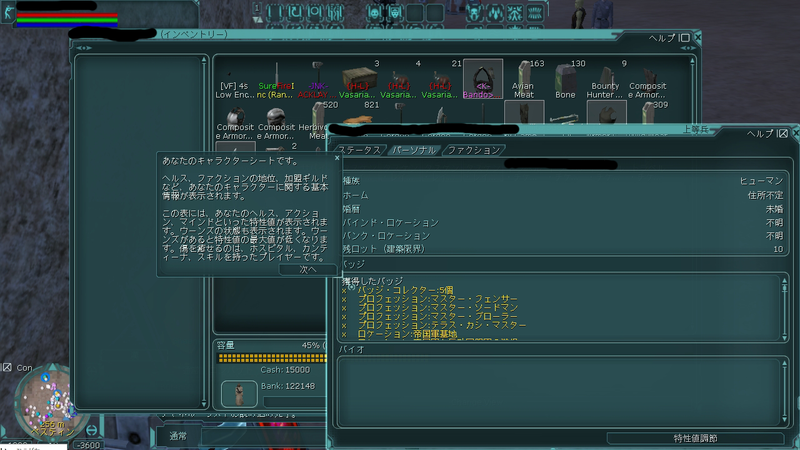 that is the default list for English. 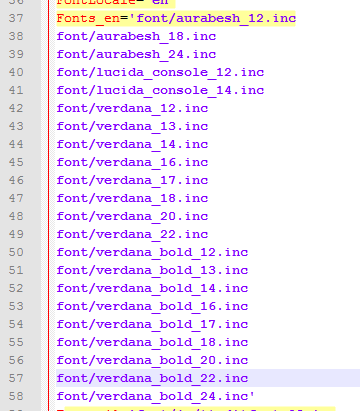 when naming files please follow this convention [name of font]_[bold/italic]_[size]. 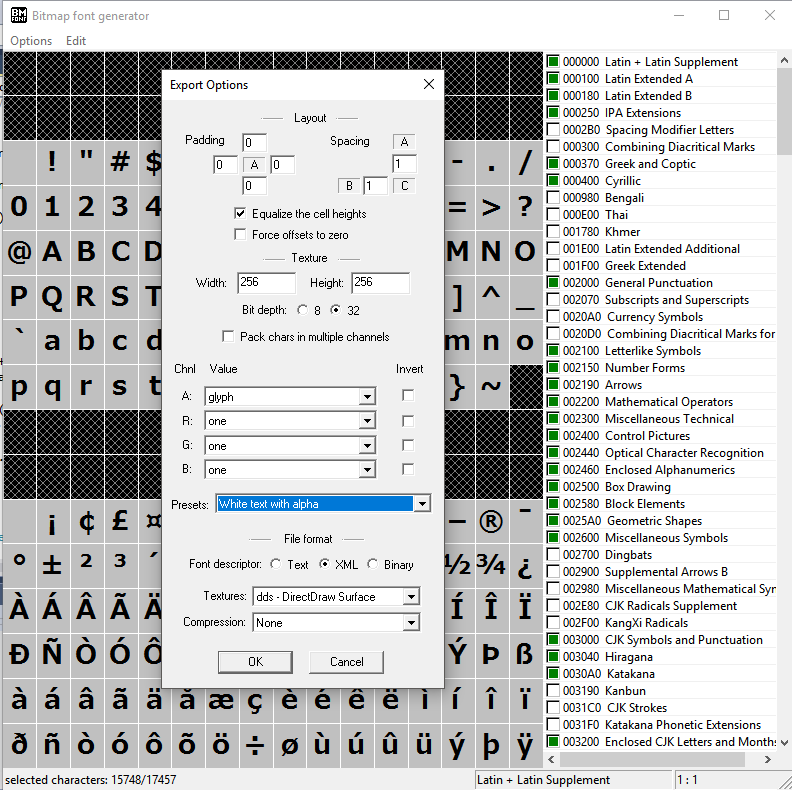 I use meiryo_12 for 12px Meiryo font and use meiryo_bold_12 for the bold version in 12px, my converter sadly at this time needs this naming. 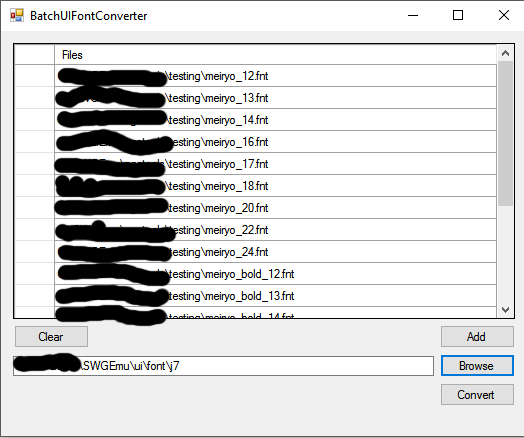 next use either uifontconverter or BatchUIFontConverter to convert files to swg inc format. 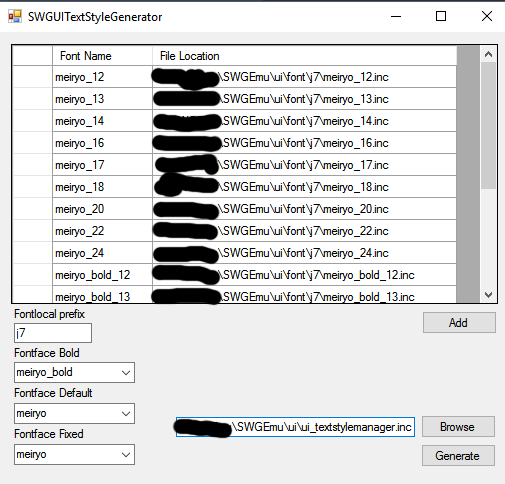 next i use SWGUITextStyleGenerator to generate the ui_textstylemanager.inc. 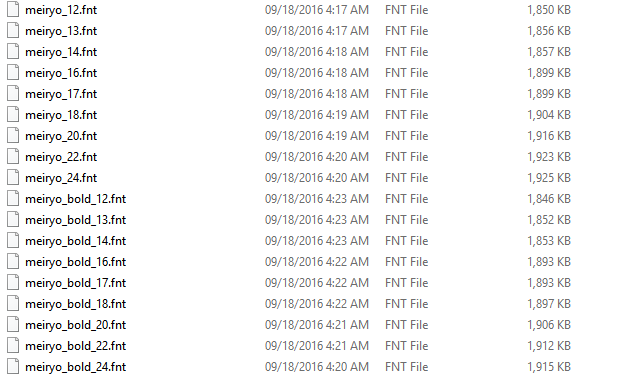 Very nice sir, I will be using this in the future.